Khurda (Khordha) is a city and a municipality area in Khurda district in the Indian state of Odisha. Bhubaneswar, capital of Odisha, belongs to Khurda district and is only 25 km from Khurda town. Odisha State Highway 1 on National Highway 224 starts here. Khurda has a unique place in history as being the last kingdom to be conquered by the British in 1803. Khurda is famous for the Paika Bidroha/ (soldier revolution) of 1817, led by Jayee Rajguru and Bakshi Jagabandhu. Dalabehera of Tapanga Garha also played a leading role during that time. 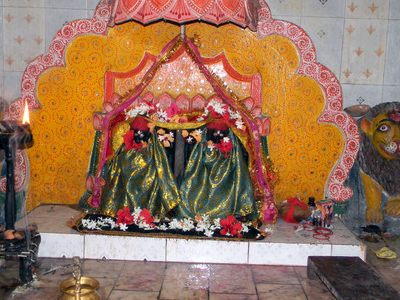 Khurda is famous for Barunei temple atop the Barunei Hills. This temple is situated on the Barunei Mountain. It is at a distance of 32 km from Bhubaneswar. 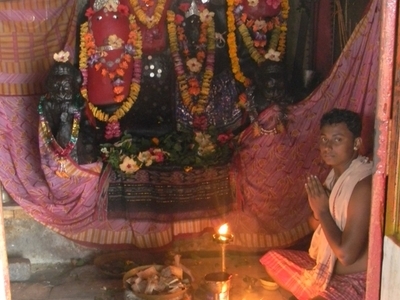 Goddess Barunei is the famous deity of Khurda. A beautiful stream flowing from the mountain is known as Swarna Ganga. It is situated at a distance of 15 km from Bhubaneswar. The rock edict of Dhauli bears the early history of Kalinga and this rock edict was engraved by Emperor Ashok. These twin hills are situated in Bhubaneswar. There are 117 caves in these twin hills. The Rani Gumpha is the largest cave in the Udaygiri hill. Another famous cave called the Hati Gumpha is also there where the rock is engraved by King Kharavela. These caves contain a beautiful Barabhuja temple and a Jain temple. Kaipadar is situated at a distance of 15 km from Khurda. A beautiful mosque is present here. This place is the meeting place of Hindus and Muslims. Two beautiful picnic spots situated at a distance of 15 km from Bhubaneswar. Deras and Jhumka are two dams surrounded by dense forest. Situated at a distanc eof 13 km from Bhubaneswar. The ruined fort Shishupalgarh and ancient capital of Kalinga named Toshali is being discovered by the archeological survey of India. Here's the our members favorite photos of "Cities in Orissa". 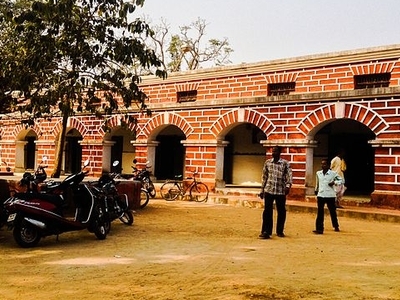 Upload your photo of Khordha!